National Catholic Schools Week is the annual celebration of Catholic education in the United States. 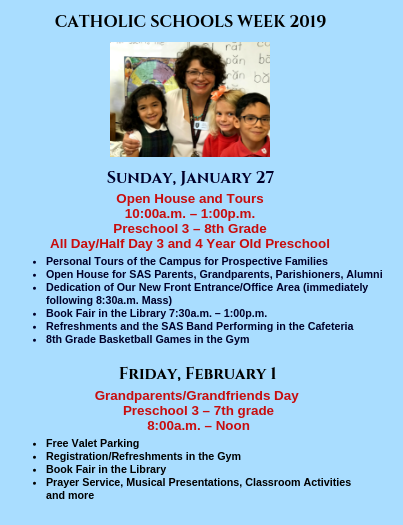 It starts on Sunday, January 27 and ends for SAS on Friday, February 1 with our celebration of our grandparents. The theme for the National Catholic Schools Week 2019 is "Learn. Serve. Lead. Succeed." 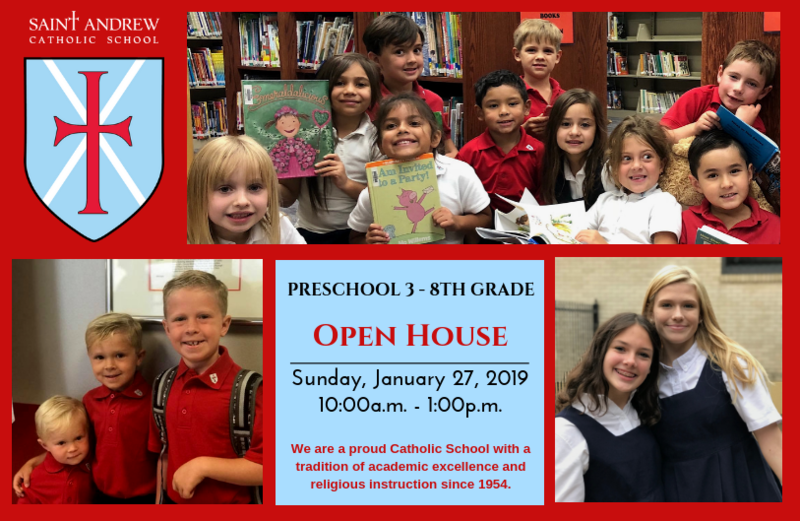 Saint Andrew will be observing the annual celebration week with Mass immediately followed by the dedication of the new school front entrance and office area, Open House and Tours, Book Fair, Grandparents Day and other activities for our school community. Through these events, we will focus on the value Catholic education provides to young people and its contributions to our church, our communities and our nation.